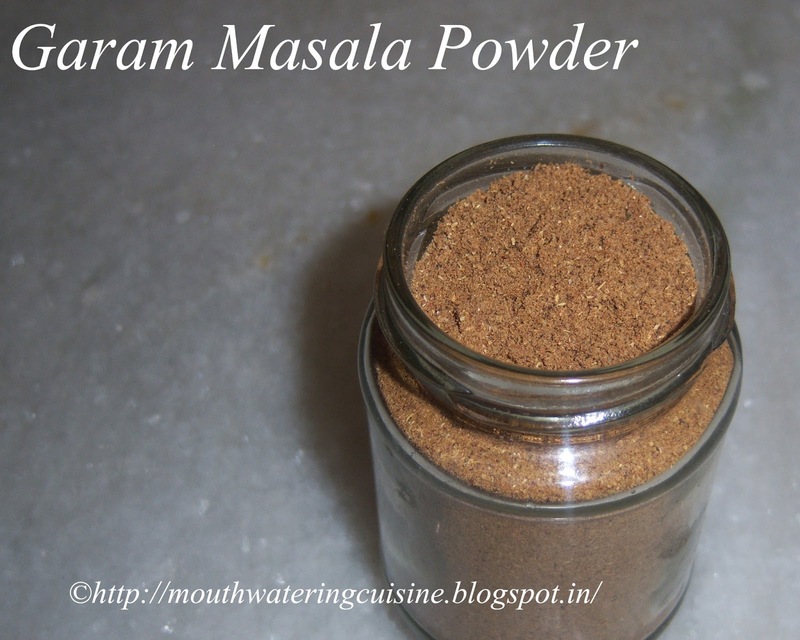 Garam Masala Powder -- is a mixture of spices. It is a blend of ground spices and used in most of the North Indian cuisine. Of course now a days it is added in some of the South Indian recipes also. My MIL is the inspiration for making it. She prepares it in two ways one is sun dried and the other is roasting and making powder. She used to make coarse powder. She likes that aroma and its rough texture very much. Once I took over cooking and she is off from it, started using store bought garam masala powder. She disliked it, but poor lady never said anything. After some period I realized that she is not liking it so started making. I stay in an independent house and get lot of sunlight. The place where I live is too sunny and it's hot too. So, I prefer to make sun dried version only, a simple method. Get all the ingredients in one plate and keep it under the Sun for two to three hours and make powder. Add all the ingredients in one plate. Keep it under the Sun for three to four hours. It depends on the sun light and warmth available to us. But for those with less sunlight and less warm, keep it for two days. Or we can roast them all. During cloudy days I roast them and grind. Make a fine or coarse powder according to our choice. Store garam masala powder in an air tight container. Refrigerate it or leave it outside is our choice.